Is There a Down Side to Smoker Modifications? Many mass-produced smokers have problems with airflow that make them difficult to use. These problems can make it difficult to reach or hold an ideal smoking temperature. So users have over the years come up with a wide variety of modifications that improve the operation of these smokers. Many of these changes require cutting or drilling additional holes through parts of the smoker unit to increase the amount of airflow. Most of the modifications that you can find on the internet work and are very helpful. If you have a smoker that has problems holding or reaching a good temperature it is probably because of limited airflow that doesn't allow enough oxygen to reach the fire, thus limiting how hot the fire can get. There are also problems with many of the smaller water smokers that make it so that ashes build up in the fire pan and choke the fire. This can typically be solved by providing better airflow but putting holes into the fire pan to allow more air to reach the fire. Sounds reasonable and if you take a good look at how your smoker works, then you can probably think up a couple of improvements yourself. There is one very big disclaimer that you need to know about before you make any modifications to your smoker. Smokers are designed with two major considerations in mind. First of all, it has to be inexpensive to manufacture and second of all no property should be damaged through use of the smoker. Several years ago there were a few recalls on smokers because people had burned down desk, garages, and even houses while using their smokers. Before you make any changes to your smoker you need to be aware that there is a risk to doing so. Many of the modifications you can make to a smoker involve the addition of air holes in the sides or bottom of the units. These holes can allow hot sparks or burning coals to fall out of the smoker. This can cause any flammable material they come in contact with to ignite. 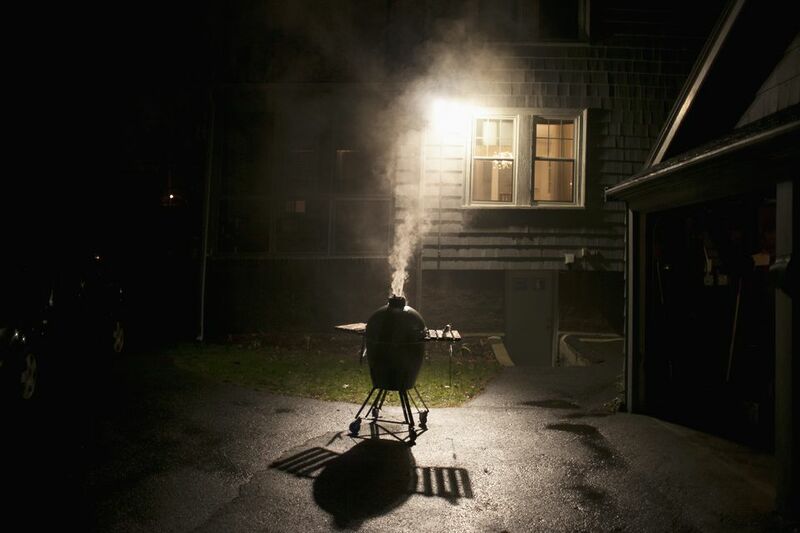 Since smoking can require several hours, you probably won't be watching your smoker very closely all the time. Smokers need to be kept from flammable materials regardless of the modifications, but if you are operating a modified smoker you need to know that hot sparks and coals can escape. This can cause fires and can cause a dangerous space around your smoker. Even if you keep all flammable materials far from your smoker, hot coals can get underfoot and burn people and animals that walk by. So, before you make any changes to your smoker look at how it is going to change the safe use of your smoker. Make sure that you are fully aware of the problems you might encounter. No manufacturer is going to pay off ​a lawsuit over a modified smoker. Which Way Are You Supposed to Smoke a Beef Brisket?